As a designer at a digital agency, I experienced firsthand what it means to work in a design team without a design leader. 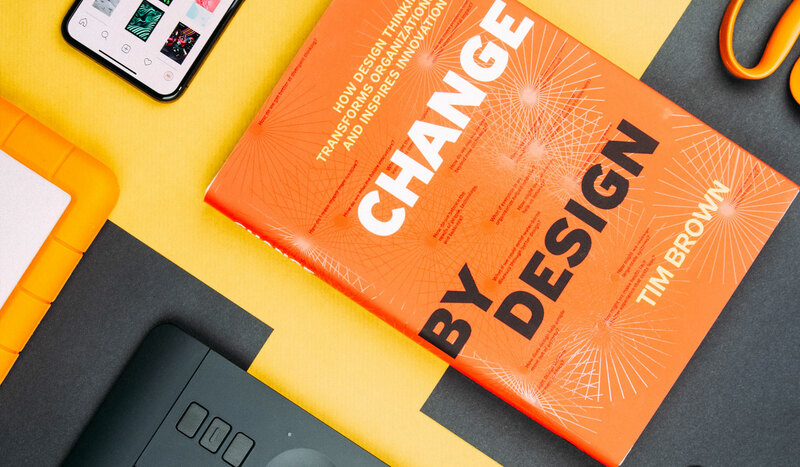 Being in an environment where the emphasis is put on personal growth, I tried to learn as much as possible about what it means to be a designer leader. Having worked as a design leader for 3 years now, I’d like to share some of the most important things I’ve learned during my journey. And be aware, it comes with an intimidating learning curve. Create an atmosphere where great design work can happen. As a design leader you have to make sure that everybody in your team is feeling awesome. You as no other understands how nerve-wrecking it can be to show your created designs to others. That’s why you need to make sure that the designers in your team are not afraid to show you their work. It is your job to coach, guide and mentor designers constructively. Talk to them about their challenges, personality conflicts and emotions. Let them feel welcome and respected. This will enable them to create their best work and learn. Your team will produce amazing stuff when everybody’s feeling awesome. Challenge your team with relevant, meaningful problems. Almost every designer is drawn to solving interesting problems. Creating a design that can make a real impact is so satisfying to achieve. Let your designers prove themselves — they don’t just want to create sales mockups and make things ‘more pretty’. Respect their value and inspire them to tackle what’s valuable. You can do this by trying to involve your team as much as possible in the entire design process. Everybody should feel like a valuable contributor and partner within a project. Challenging your team with relevant, meaningful problems will drive fruitful discussions. Know what your team is working on. As a design leader you should always be up-to-date on your teams activity. This is something that you simply have to own, every time. Believe me, there are going to be times that you’ll feel drowned in all the projects that your team members are working on. You can set the stage for staying up-to-date by making all projects tangible. Ask your team to print design work daily and encourage sharing, debating, retooling and celebration. This will make it a lot easier to stay involved and adds to the creative atmosphere. Allow designers the time they need to reflect. Design is hard work. Really hard. Creating ‘something out of nothing’ isn’t nothing, capiche? As a design leader you know that, of course. That’s why it pays off to say ‘thank you’ to a designer once in a while. You can do this by granting your designers reflection time; time for designers to stand back, absorb, and process what they’re working on. Movable furniture, natural light, writeable surfaces, and inspirational magazines, games, movies and posters are all welcome.